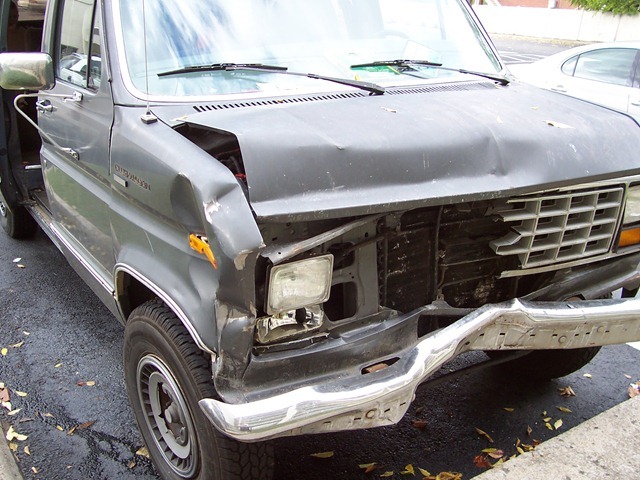 Here’s the old van, after the wreck… you can see the damage to the frame and the radiator (which prevented us from driving it far). 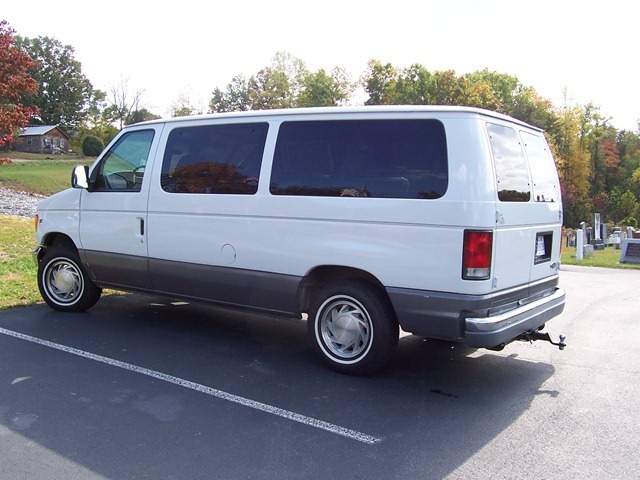 And here’s the new Van, which we still owe a couple thousand on, and have to get tagged (which means a basic tune-up to pass emissions). Quite a difference! Praise God for His provision. He is worthy of our trust, not only b/c He has always proven faithful, but also because He is the Almighty God. We can trust Him.